Ethiopian Electric Power has signed two agreements worth $4 billion, to build two geothermal power plants, to be run by the country’s first privately-owned utility. The two plants – Corbetti and Tulu Moye – will produce a combined 1,000MW of power upon completion in eight years’ time. Azeb Asnake, CEO of Ethiopian Electric Power, said during the signing ceremony that the government has identified 22 sites that are sustainable for geothermal power development across the country. According to the Ethiopian Ministry of Water, Irrigation and Electricity, Ethiopia now has 4,300MW of installed power generation capacity, and projects with a total capacity of over 9,000MW are under various stages of construction. Others with over 3,000MW capacity are at the preparatory stages. The Grand Ethiopian Renaissance Dam (GERD), currently under construction on the Blue Nile River, is around 70% complete, according to the Ministry. The project will be Africa’s largest dam upon completion, with a generating capacity of 6,450MW. Studies show that Ethiopia has an estimated 10,000 MW of geothermal energy potential. 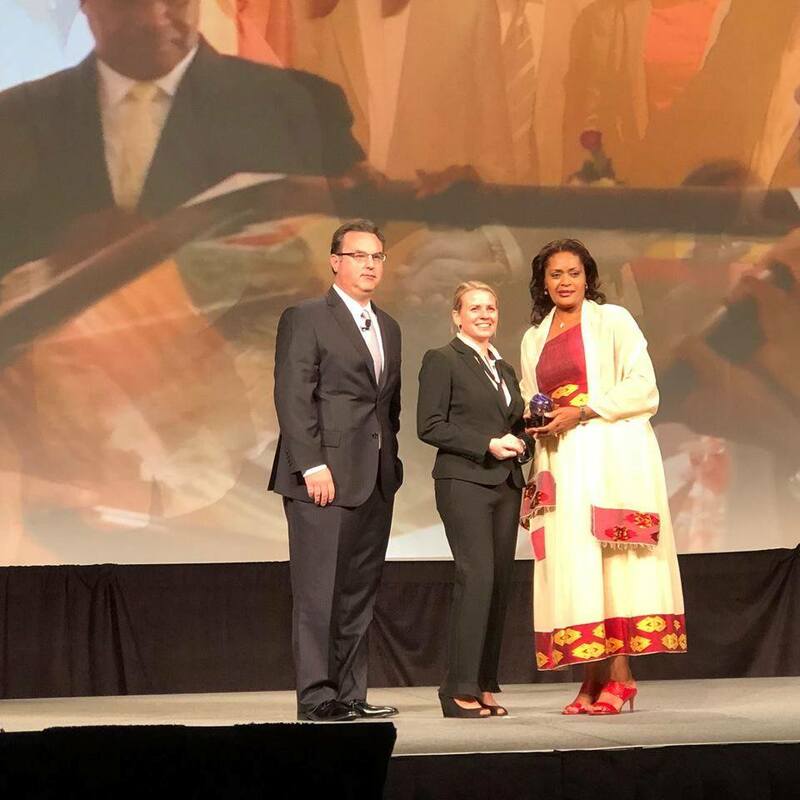 Azeb Asnake, CEO of the Ethiopian Electric Power Corporation, was named the 2017 POWER-GEN International Woman of the Year, in recognition of her great work advancing power generation in Ethiopia. Asnake is responsible for the construction and operation of generation plants, transmission lines and sub-stations as well as overseeing the sale of electricity to neighboring Sudan, Djibouti and border towns of Kenya. When she first entered the industry, Ethiopia’s electricity was mainly hydro based and the generation capacity was 2,430 MW. Since then, generation has grown to 4,500 MW. One goal of Ethiopian Electric Power under her guidance is to become a power hub of Africa and reach a generation capacity of 17,000 MW by 2020 to create a system that will carry and sustain the economy level of a middle-income country. As CEO of a key aspect of Ethiopia’s economic sectors – power generation – Asnake is demonstrating not only that women can lead in engineering, but also that they can do so with great success.